Anywayssss! 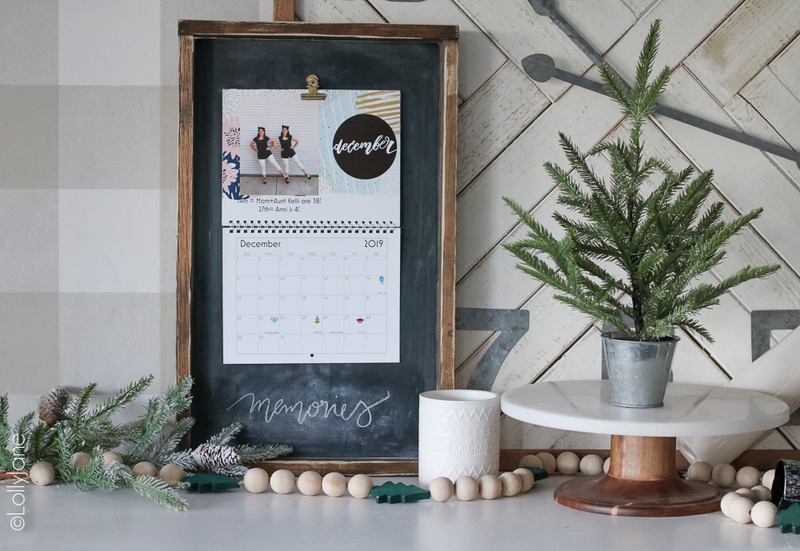 Customizing a calendar takes a few minutes as long as you’ve got 12 pictures on hand and a little creativity. 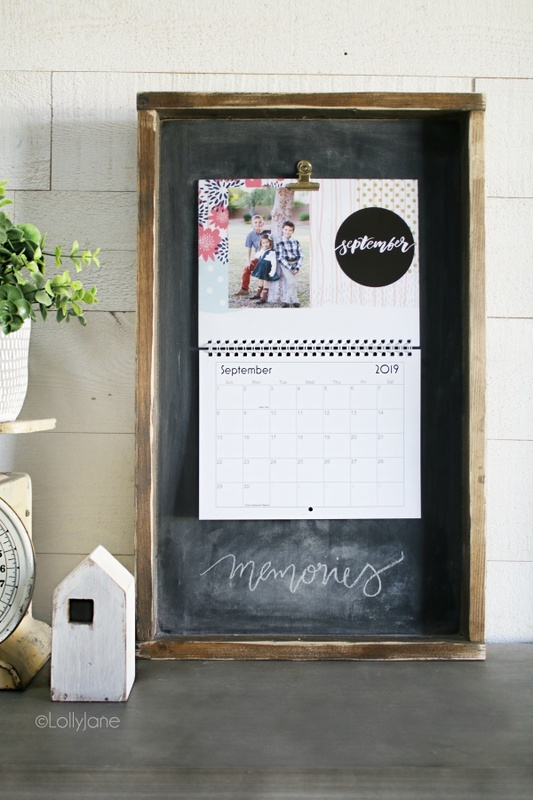 Let’s take that photo calendar to the next level with this darling wood calendar holder. Grab the following supplies and let’s get to work! 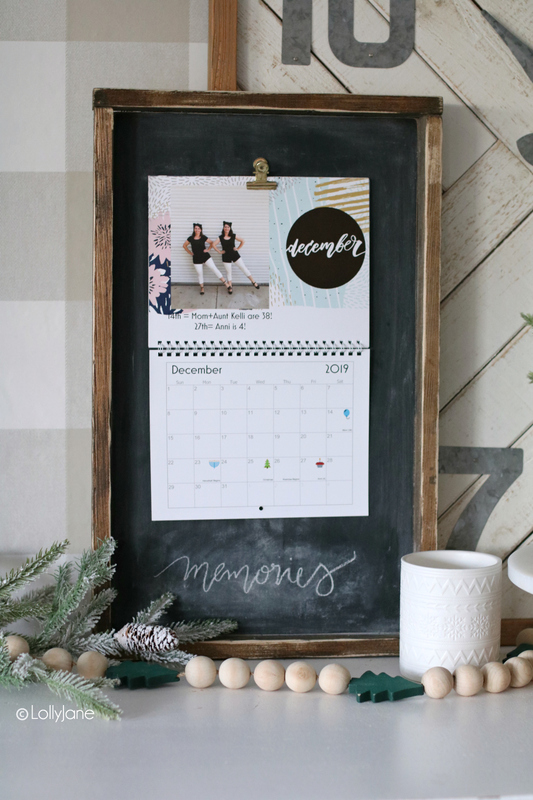 Our calendar frame is 12″ x 24″ to give you an idea of sizing. 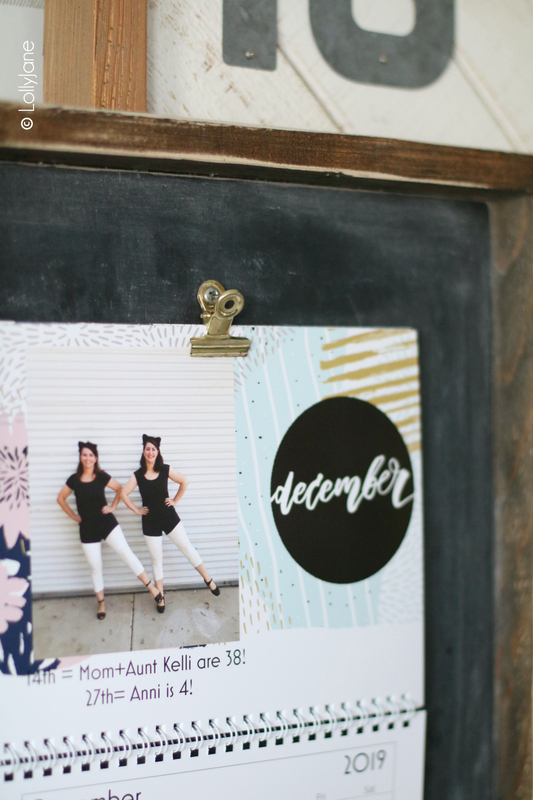 Our photo calendar is 8.5″ x 11″. Since we were recycling a sign we already had on hand, there was a little gap at the bottom which we thought was cute to further customize the frame. My talented daughter wrote “memories” but a fun little quote would be a sweet touch. 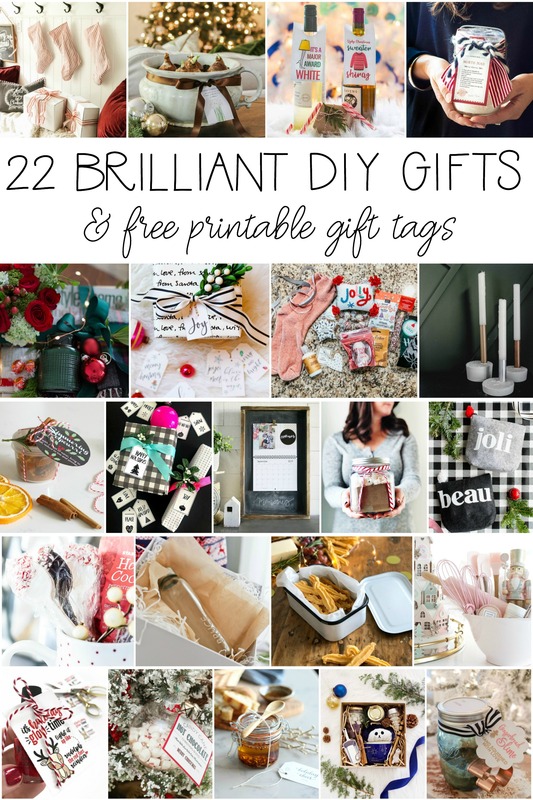 So many ways to customize this whole project! Screw hinge clip into upper center of your board using screwdriver. 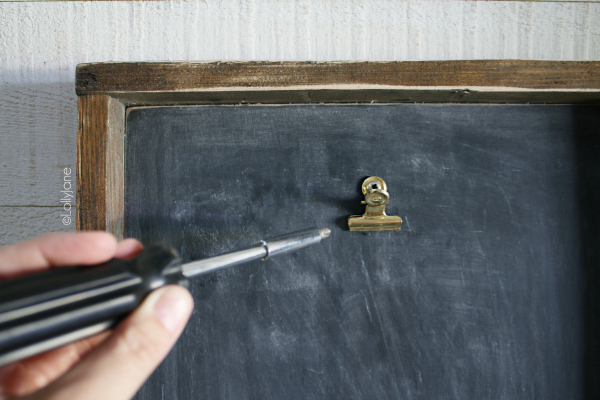 Write “memories” or other phrase/saying with chalk onto chalkboard. 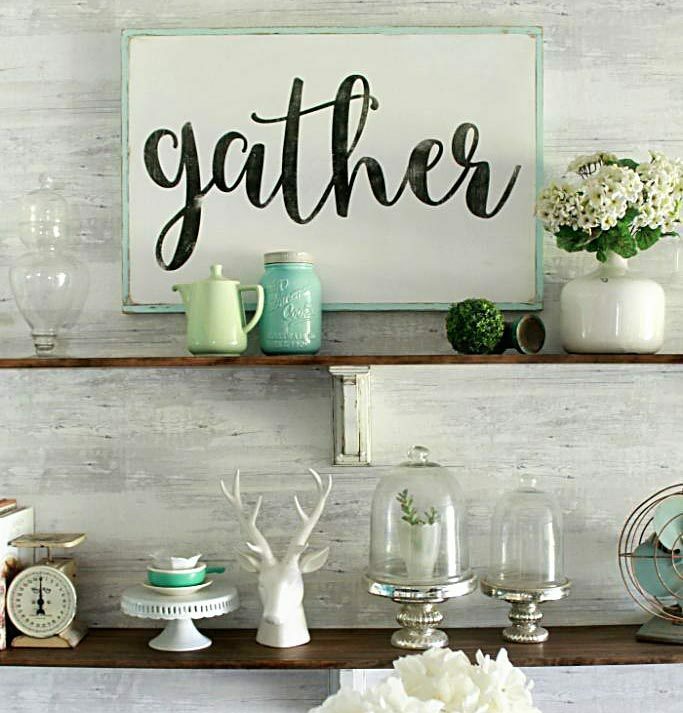 Hang from wall or prop up to display. Enjoy! 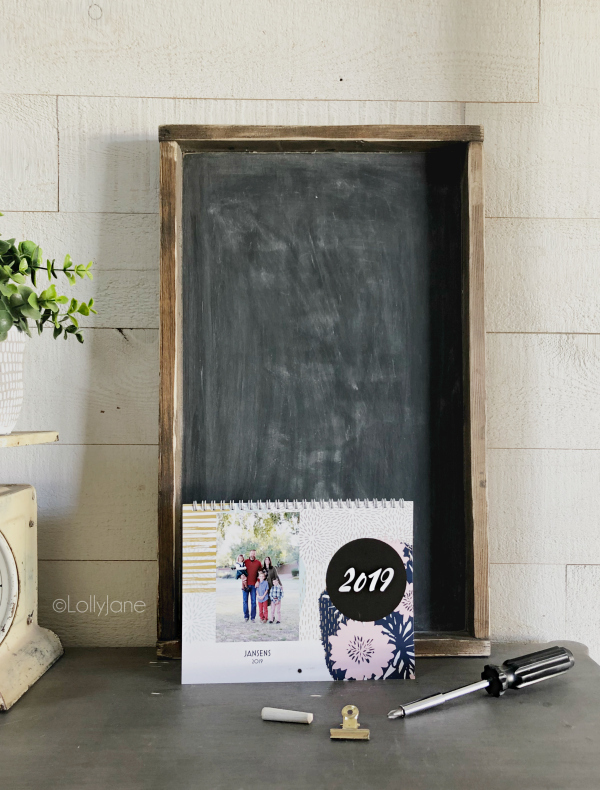 We’d love to see your version and will be posting copycat projects on our Instagram (or stories,) Facebook or Pinterest! Use the hashtag #lollyjaneinspired so we can see! This is darling! I think I am going to have to do this asap! What a cute idea! I know so many people that would love this! I love this idea! 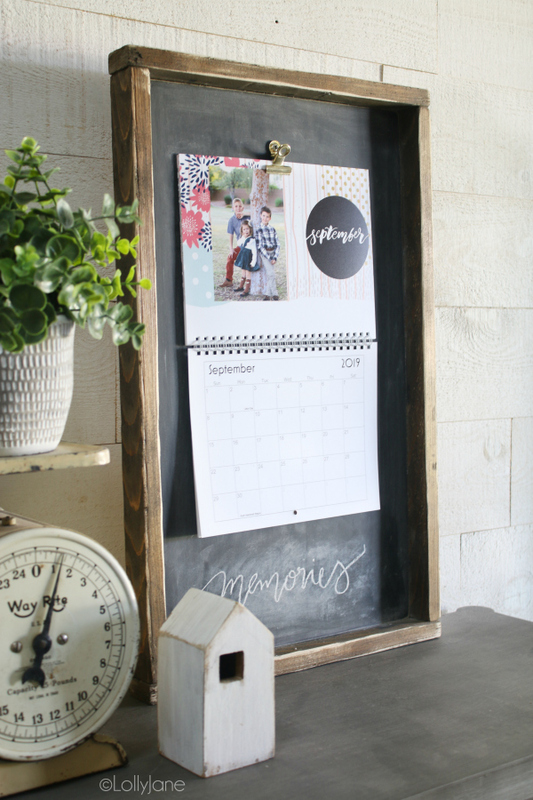 There are so many pretty calendars that need to go on display like this! Such a cute idea. Thank you for sharing and being a part of the blog hop.